Choosing a camera type: Advice to help you buy a camera. We describe the difference between a compact camera, a superzoom camera, DSLR camera and compact system cameras. Deciding on a new camera can be a daunting task, not least because of the wealth of options available. What Digital Camera runs through some things you might want to consider when buying a camera, as well as the main types of digital camera available to help you buy a camera best suited to your needs. There are a range of types of compact cameras, described below. If you decide you want one of these, you can check out our advice on choosing which compact camera to buy. Compact cameras under £100 tend to be simple, no-frills models, that are perfectly capable of taking pictures without any extra bells and whistles. Often these are powered by AA batteries as opposed to rechargeable lithium-ion types, but these deplete their charge quickly and so aren’t very economical. A better solution is to invest in a set of rechargeable batteries and a charger – while this will be initially more expensive, such batteries offer the best performance and can be used time and time again. 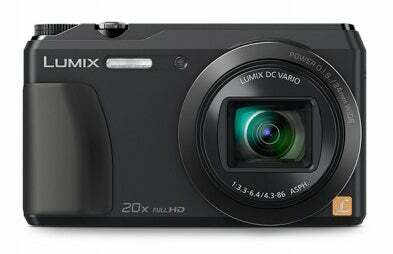 Most budget compacts offer lenses with a 3-10x optical zoom, which will ordinarily stretch from around 35-105mm. This is a capable range for everyday photography, although some cameras push the boundaries a little further to offer particularly wide or long focal lengths. A camera with a lens starting at around 28mm will be perfectly suited to group shots and landscapes, while one which stretches to 140mm or 150mm is ideal for capturing far away details. As a rule, anything with an optical zoom over 8x is better than average, and so is worth a closer look. The last few years have seen fierce competition among manufacturers to bring high-end features down to a lower price point. Something which has slowly grown over the years in the size of a cameras’ LCD screens; 2.7in is standard for budget models, though 3in screens are now appearing at this price point. These may not improve your picture taking as such, but they do provide a better view of the scene and your captured images. Something else to look out for is image stabilisation – while the systems on such cameras aren’t quite as advanced as those on higher-end models, they do generally work and can help you capture sharper images. Lastly, it’s not worth thinking too much over the number of megapixels such cameras have, as they all have enough. In fact, more megapixels can be detrimental to image quality, (particularly when shooting in low light) and these images take up more space on your memory card. Unless you have a specific reason for needing more megapixels, bear in mind that less is often more. The majority of compacts are priced between £100-250. A number of these offer wideangle lenses, and practically all of them work on rechargeable lithium-ion batteries which are supplied with the camera. At the budget end of the scale the focus is decidedly on style, with slim and colourful bodies and an array of trendy features such as inbuilt Wi-Fi and face and smile detection included. More expensive models may incorporate longer zoom lenses and larger LCD screens, and may even offer touch-screen functionality. Many of these cameras offer some form of auto-intelligence, which automatically adjusts a number of settings according to the subject matter. This ideal for less confident users, who may be confused by certain settings. If it’s style and portability you’re after, Sony’s Cyber-shot range is a good place to look, as many models are either slim, colourful, packed full of technology, or all of the above, while the Canon IXUS range always tends to fare well, too. While such cameras are good general purpose models, they may put off larger-handed users or those used to the larger controls of an SLR. With the exception of touch-screen models, where control is through a series of virtual buttons on the LCD screen, the way these cameras operate is through an assortment of buttons and a menu pad on the rear. These can often be quite small and it may be difficult to see what you’re pressing, particularly as not all camera have these options clearly engraved. Enthusiast compacts aim to bring a high standard of image quality to a small camera. This is typically achieved with a larger-than-usual sensor and a high-quality optic, together with manual control and a superior build quality. When lighting conditions are good and correct photographic technique is employed, such cameras can produce DSLR-like results – which makes them ideal backup cameras to more expensive models. Even when light levels drop, the noise control offered by these cameras is generally good, even if it isn’t quite up to the standard of DSLRs. These are also the cheapest types of camera to offer Raw recording, should you wish to take processing into your own hands. Some models also offer hotshoes for external accessories, such as viewfinder and flashguns, while a couple of those with longer lenses also manage to squeeze in GPS recording should you be travelling around. For more critical captures some cameras offer high-resolution LCD screens, ones which match the quality of those on many recent DSLRs. As these allow you to zoom into an image without the quality degrading, these are ideal for checking finer details post capture, or for checking correct focus as you compose. We’re also starting to see some advanced compact cameras which offer a large sensor (one-inch and above), full manual control, raw format shooting and a wide aperture lens. Take a look at the Canon G9X, or Sony RX100 Mark IV for two great examples of this kind of camera. Superzoom cameras combine the flexibility of a wide focal range with a small format body. Many offer manual control over exposure (such as with an aperture or shutter priority option), and some allow you to manually focus too, meaning the photographer can take many decisions into their own hands. One crucial aspect of a superzoom camera is its image stabilisation system. When shooting at longer focal lengths a camera has to work harder to keep the image stable, which makes a lens or sensor based image stabilisation system vital. Some cameras only offer sensitivity-based image stabilisation systems which work by increasing the camera’s ISO – this is something best avoided if one of the alternative two solutions are available. Another popular feature on such models is an articulated LCD screen. These pull away from the body and allow you to shoot at awkward angles to the subject, such as at ground level. They may also help when shooting in bright conditions, as they can be adjusted to the angle with the least glare. The key aspect of a bridge camera is how far the zoom can reach. There are those which offer a more modest focal length, but in exchange offer a wide aperture, such as the Panasonic FZ200. On the other hand, there are those that offer huge focal ranges, such as the Nikon P900 with its incredible 83x zoom. While Compact System Cameras (or hybrids as they are sometimes known) have only been available for the past few years, they have significantly altered the photographic market. Some models use the same size of sensor found in DSLRs they are able to achieve a similar standard of image quality, where as others, such as the Pentax Q, use compact-sized sensors to reduce size even further. They can be made much smaller thanks to the lack of the traditional SLR mirror box. This does mean, however, that they cannot offer an optical viewfinder as standard – instead, some offer electronic viewfinders, while some simply have an LCD screen for composition. As a new and growing segment of the market, manufacturers are still building up lens options for these models. One of the advantages of these lenses is that, like the bodies on which they are mounted, they may be made smaller and lighter. For anyone wishing to travel light, a hybrid body with a couple of lenses may prove to be the best solution where image quality is key. As the first of these systems to enter the market, the Micro Four Thirds line has the most options at present, particularly as compatible lenses are being developed by both Olympus and Panasonic (as well as a few third-party manufacturers). Each of the major camera manufacturers offers at least one compact system camera, however only Sony currently offers a full-frame camera of this type. DSLR cameras are what many people think of when it comes to advanced photography. Thanks to some serious strides in camera technology, it’s not necessarily true that DSLRs offer better image quality than CSCs, but it’s a different style of shooting that some prefer. Generally speaking, it’s still true that the widest range of lenses is available for DSLRs, meaning that the photographer may choose one that’s been developed specifically to suit their requirements. Most consumer DSLR cameras offer APS-C sensors, which are slightly larger than the Micro Four Thirds sensor but smaller than full-frame. This applies a conversion factor of around 1.5x to any mounted lens, which gives lenses a little extra reach. The downside of this is that wider angles are harder to achieve, and usually mean investing in either a full-frame body or a very wideangle lens which can tolerate some cropping. Full-frame cameras are starting to become more affordable as time goes on, with Nikon and Canon both offering “entry level, full-frame” cameras, like the Canon EOS 6D and the Nikon D610. DSLRs also have the widest range of accessories at present. A plethora of lenses aside, all DSLRs accept flashguns on their hotshoe, and many also take extra battery grips for extra power and easier shooting in the portrait orientation. With HD video now a staple feature on DSLRs, it’s even possible to invest in an external microphones for stereo sound recording, while the shallow depth of field offered by a larger sensor can be a great benefit with regards to creativity and low-light shooting. Carting a big and heavy camera is a commitment and an inconvenience, and unless you are very serious about your photography you will end up leaving it at home and wishing you’d bought something a bit easier to carry. This really is a critical factor, so make sure you go to a camera shop to pick the thing up and feel it in your hand before you buy – just to ensure you are happy with the weight and feel. The size and weight of a camera is not directly proportional to the quality of pictures you will take with it, so don’t be thinking bigger is better. Generally speaking, compact cameras tend to be the most pocket friendly, while DSLRs will require a lot more lugging power. Compact system cameras tend to fall in between the two, but there are some notable exceptions which are bigger than some DSLRs. Digital cameras record images on what is called a ‘sensor’ – it’s a bit like a piece of electric film. You might think that the more pixels the sensor uses the more detail it will be able to record, and in theory you’d be right. In real life though that is only part of the story. More pixels does not always mean better pictures, as camera engineers have to balance the number of pixels with how small those pixels have to be made to fit on the sensor. Small pixels are like small hi-fi speakers – they can be a bit tinny. In general, compact cameras use very small sensors, and very small pixels. DSLRs use larger sensors, and so the pixels don’t have to be made quite so small. If you are buying a DSLR or compact system camera look for a model that has anything between 12 and 50 million pixels; in a compact or a bridge camera go for between 10 and 14 million pixels for good quality images. Whatever camera you are looking at it will have a set range of lenses or zoom settings it can be used at. If it is a compact camera you have to live with what it comes with – so make sure it covers everything you will want to use it for. The numbers on the box don’t mean anything, and ‘10x zoom’ only means the longest setting is 10x longer than the widest, so you need to look through the camera and see exactly what those settings and numbers translate to in real life. If you are thinking about buying a DSLR or a compact system camera take time to see what lenses are on offer for that model and to see how much they cost to buy. It’s no good buying the body and then discovering that you can’t afford that long lens you want. The trick really is to read plenty of reviews and to average the range of opinions. Often the best reviewers will notice something the others don’t. What camera to buy: This year’s model? It is always tempting to buy the newest products, but often what they have to offer over last year’s is of less consequence than the price difference would suggest. Superseded cameras are usually still very good and can be found at bargain prices, and you might also want to think about buying second hand. If you see a camera that is incredibly cheap it is likely that it is not very good – you get what you pay for. There are heaps of bargain deals to be had on-line but on websites you get no advice and you can’t pick up the camera to try it out. There really is no substitute for going to a camera shop, speaking to an assistant and holding the camera in your hand. If you have a question you can ask it and get a reply straight away, and if in a week’s time you have another you can walk back into the shop and ask the same person. If you’re looking for a bargain, it’s also worth checking out our latest camera deals article, that is updated regularly.